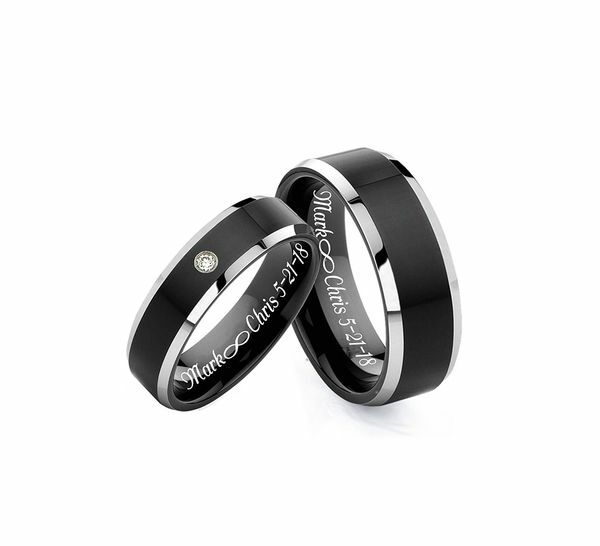 These personalized two tone tungsten rings can be custom engraved both inside out outside the ring. Engraved up to 35 letters per side in any of the font styles listed. These tungsten rings and bands are a wonderful gift for your loved one.